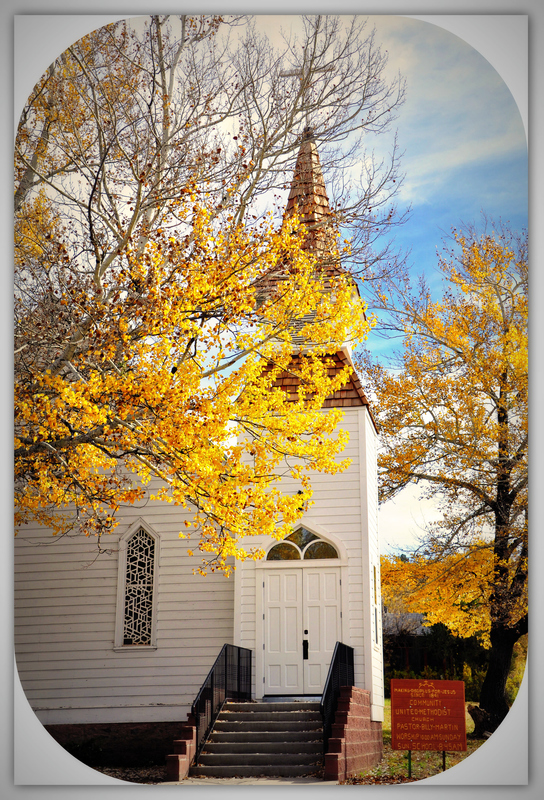 I agree, churches would be a beautiful book, and your photo is stunning! That photo is awesome! Oh how I miss the fall colours back home! Maybe next year will find us on the road trip through Eastern Canada and USA we keep talking about and I’ll soak up all that beauty. That is beautiful especially with the fall colours to frame it. Fall is my favourite time to get out and walk. I really miss fall here in Shanghai, but the warmer temps are a nice too. Sunday was nearly 30c Today back to reality and average temps of 21c. Beautiful photo! I also have a “unique” view on religion but am totally fascinated with churches! I don’t go in, I love the outside architecture and love that goes in to building them. Thank you! I generally prefer the outside as well, much for the same reasons 🙂 I’m also fascinated to see the trend move from building a traditional church as best they could to the prefab/strip mall churches of today. They just don’t make ’em like they used to! Certainly seems like a statement….